Back when I was obsessed with Rainbow Cookies, I bought different types of almond products to use in the colorful little cakes. 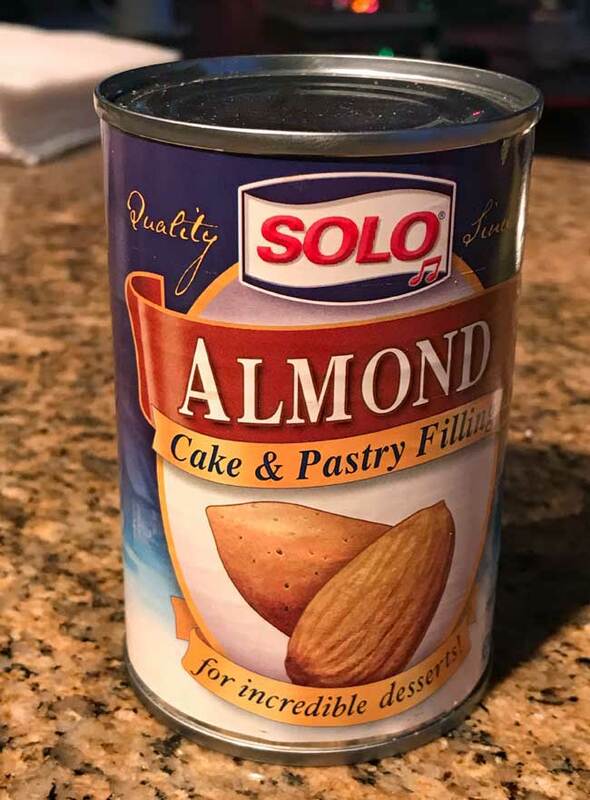 One of the products was Solo brand almond filling. It worked okay in the Rainbows, but we preferred almond paste over almond filling and ended up with an extra can. To use it up, I made Almond Crescents. This recipe is from Solo and calls for a full can of almond filling. The filling plus almond extract gives the cookies a pretty strong almond flavor. And thanks to the filling, they are soft and tender crescents rather than crumbly and sandy textured crescents. They’re good and fairly unique! If you or someone you know loves almond flavored things, they’re perfect. 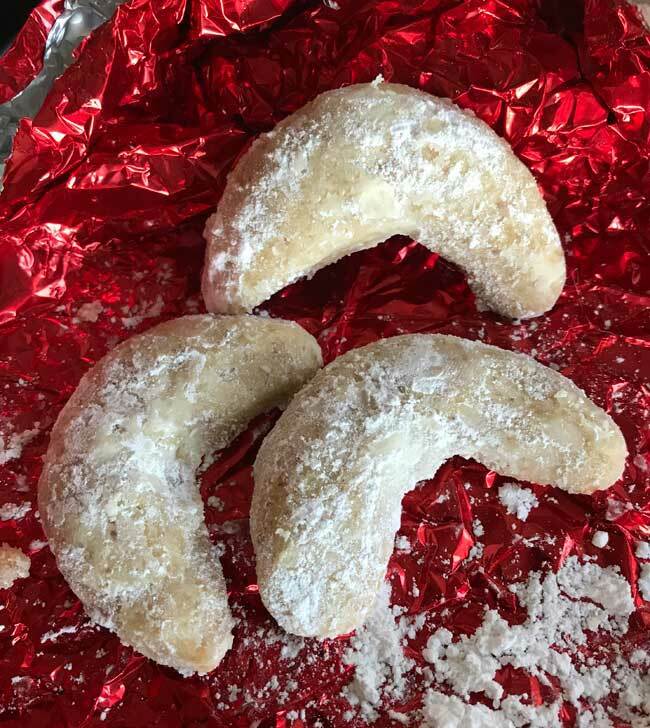 Almond Filling Almond Crescents are holiday almond crescent cookies made with canned almond filling and almond extract. Beat butter and sugar in large bowl with electric mixer until light and fluffy. Beat in almond extract and almond filling until blended. With a spoon or scraper, stir in the flour to make a dough. It will be a little sticky and will require chilling, so cover and chill for a few hours until it is firm enough to shape. Preheat oven to 325° F. Dust hands with flour if you need to (I didn't). Shape rounded teaspoonfuls of dough into small tapered crescents. Arrange about 2 1/2 inches apart on baking sheet and bake 15 to 20 minutes or until cookies are firm and lightly browned. Let cool on baking sheets on wire racks 1 minute. Remove from baking sheets and cool on racks. When Almond Crescents are cool, roll them in confectioners' sugar. I recommend salted butter since there's no salt in the dough, but if you have to use unsalted then you should probably add about 1/2 to 3/4 teaspoon of salt. Angie, glad you liked them! It’s funny, I just stumbled across that one while looking for a way to use almond filling. There were just 5 ingredients! I’m adding them to my Christmas cookie list!! I have to try this recipe. I love anything almond!! I love cookies like this. Almond flavored cookies make me happy.